This chewy, chocolatey goodness is hard to resist especially when I’m feeling blue and craving for some sweet treats to feel better. This is one of the few cookies I learned to bake during my first few months in the US. I made a dozen of giant chocolate crinkles for my first Christmas together with my husband, and we ate most of them while watching Christmas movies for hours. It was fun to remember those times before the kids were born. Anyway, I don’t remember anymore the website where I got this recipe from, so I cannot reference it. As I was learning new recipes before, I copied them on a notebook and made adjustments on the ingredients based on preference and taste. 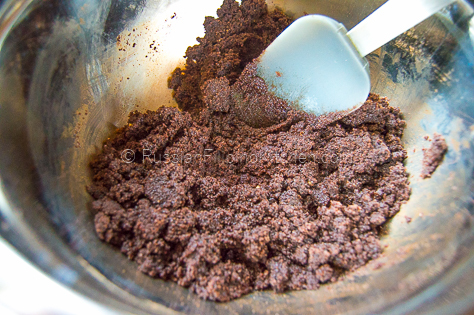 Regardless of the source, this is a great chocolate crinkles recipe that you will enjoy, whether you’re making them for Christmas or for the whole family on an ordinary day. 1. 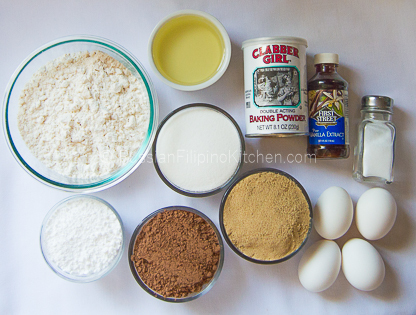 In a medium bowl, sift together flour, baking powder, and salt. 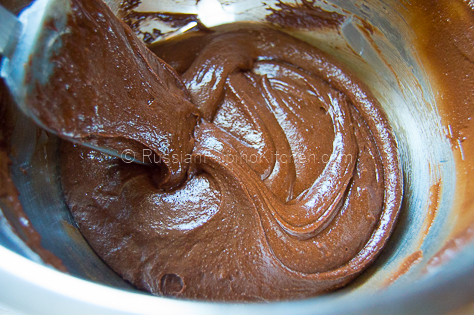 Give it a quick whisk to mix and set aside. 2. 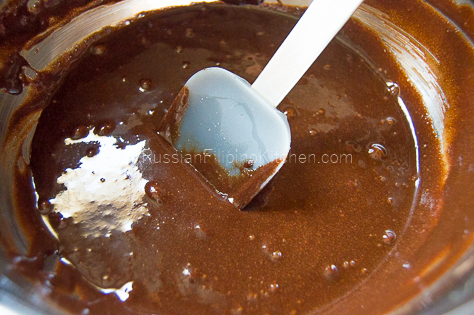 In another mixing bowl, use a spatula to mix together the cocoa powder, granulated sugar, brown sugar and vegetable oil. 5. 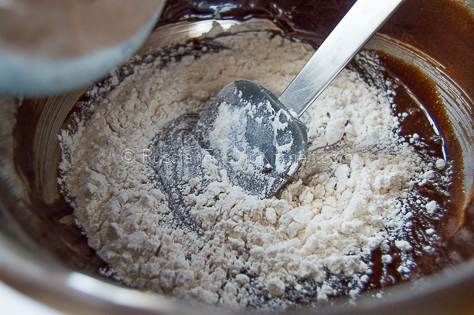 Slowly add the flour mixture in and mix until well incorporated. 6. Cover bowl with cloth or plastic cling wrap and place in freezer for 30 minutes just enough for the dough to firm up and become easier to handle. If you are not in a hurry, refrigerate for at least an hour, overnight much better. 7. Preheat oven to 350ºF and line baking sheets with parchment paper or baking mat. 8. 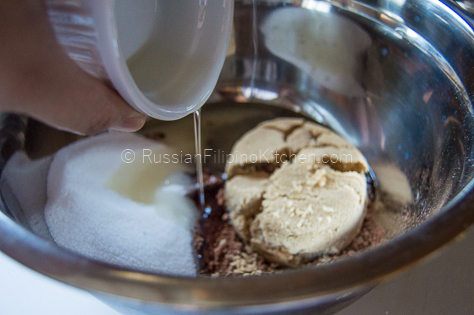 Remove dough from freezer. 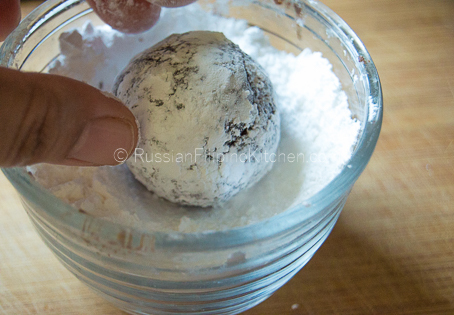 With clean hands, roll dough into 1 ½ inch balls and coat with powdered sugar. 9. Place chocolate balls on a baking sheet about 1-1/2 to 2 inches apart. 10. Bake for 8-10 minutes and immediately remove from baking sheet and place on cooling rack. 11. Place cookies in an airtight container to keep them fresh longer. 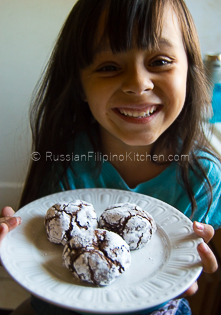 My eldest daughter with her favorite chocolate crinkles cookies! It’s important to chill the dough before shaping them into balls. Soft dough is messy to work with as it sticks to your palms and absorbs much of the icing sugar when you roll them. If you notice the dough starts melting and sticking to your hands, return to the freezer for a couple more minutes and resume when it’s firm firm enough to handle. Work fast in shaping the dough to prevent them from melting. If you want flat cookies, just press the rolled dough lightly using your palms before baking. Depending on your oven temperature, average baking time to achieve chewy texture is 8-10 minutes. Mine only takes 8 minutes. 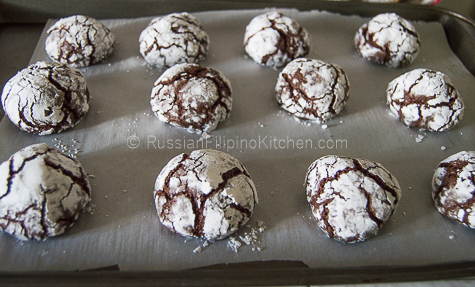 Longer than that, I end up with chocolate crinkles that are dry and flaky. Remove cookies from baking sheet right away as soon as you take them out of the oven and transfer to a cooling rack or clean kitchen towel. Leaving them on the baking sheet further cooks the cookies and diminish that chewy texture. 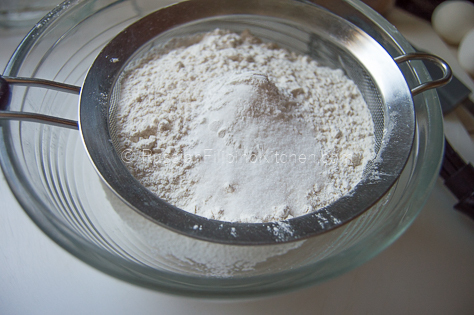 In a medium bowl, sift together flour, baking powder, and salt. 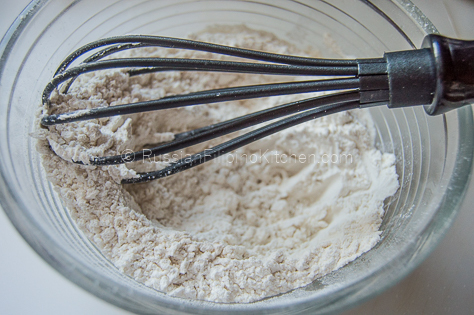 Give it a quick whisk to mix and set aside. 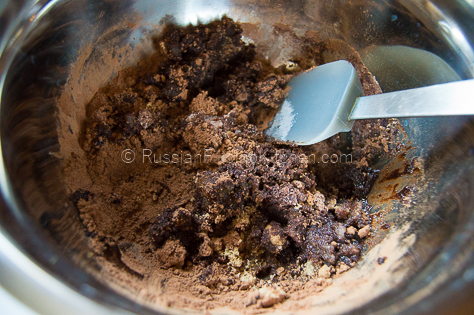 In another mixing bowl, use a spatula to mix together the cocoa powder, granulated sugar, brown sugar and vegetable oil. 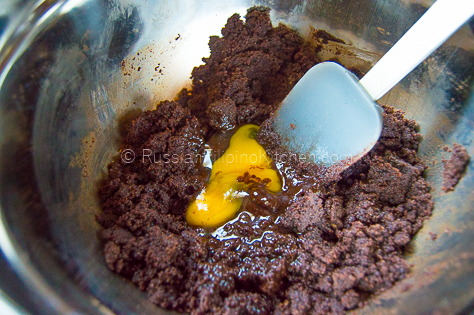 Slowly add the flour mixture in and mix until well incorporated. Cover bowl with cloth or plastic cling wrap and place in freezer for 30 minutes just enough for the dough to firm up and become easier to handle. If you are not in a hurry, refrigerate for at least an hour. Preheat oven to 350ºF and line baking sheets with parchment paper or baking mat. Remove dough from freezer. 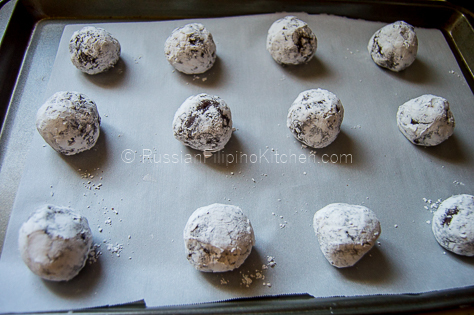 With clean hands, roll dough into 1 ½ inch balls and coat with powdered sugar. 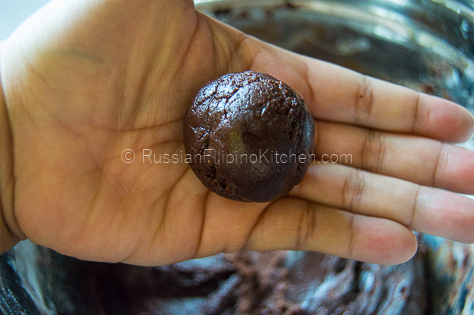 Place chocolate balls in a baking sheet about 1-1/2 to 2 inches apart. Bake for 8-10 minutes and immediately remove from baking sheet and place on cooling rack. Place cookies in an airtight container to keep them fresh longer. It's important to chill the dough before shaping them into balls. Soft dough are messy to work with as it sticks to your palms and absorbs much of the icing sugar when you roll them. If you notice the dough starts melting and sticking to your hands, return to the freezer for a couple more minutes and resume when it's firm firm enough to handle. so true the chocolate crinkles was so addicting and i´m loving it. thanks, can´t wait to try another recipies.